Horikoshi Jiro is not a name that is common knowledge to the modern Westerner. I would certainly have no idea who he was without this movie. Oddly enough, a person could watch this movie and still have no idea who Mr. Horikoshi really was and what his life was like. 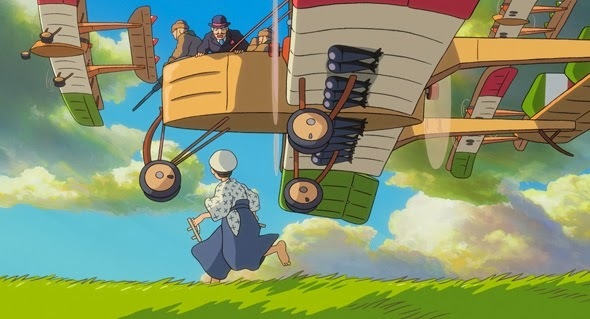 This 2013 film was billed as Miyazaki's swan song and it is indeed a great film to go out on, but it is not the historical part of it that will be remembered so much. Much of the history in this film with regards to Mr. Horikoshi's personal life is a fabrication. This film, to be more accurate, is an amalgamation of different sources. Tatsuo Hori's novel Kaze Tachinu about life in a tuberculosis sanitarium, the aforementioned true life of Horikoshi, and even a bit of Thomas Mann's 1927 German novel Der Zauberberg are thrown into the mix. So while this film probably contains about as much historical importance as Braveheart it is nonetheless a better constructed film with regards to its overall theme and is a much more peaceful and unselfish film despite the backdrop of war. Miyazaki has proven that he isn't afraid to break free from the template and exercise his own visual quirkiness and he does it here time and again despite this film being a historical drama. Horikoshi is a dreamer in this movie and his dreams are incredibly vivid and they could stand alone as their own short films. Of course, this sometimes causes a bit of a disconnect between the scenes of reality that are often more bleak and silted. That's probably an intended effect, but it could serve as a bit of a drawback, too. The entire film is beautiful, though. So I can't imagine it being too much of a drawback. Purists of historical fact probably wouldn't appreciate this film very much. 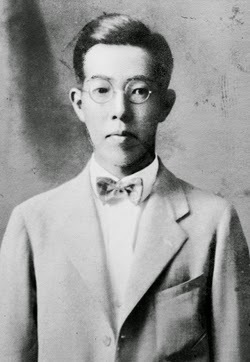 Although the bits about how Horikoshi helped make Japan take flight in WWII (much as he didn't like his planes being used for war) are truthful enough just the simple fact that Horikoshi's wife never had tuberculosis can be a deterrent. Here the condition of his eventual wife causes an excellent and breathtaking ending, but when you consider that such a thing never happened in real life it kinda defuses the effect a little bit. Whereas Horikoshi's own real life battle with pleurisy is not given a mention in the film. However, Miyazaki's vision takes flight seemingly of its own accord and it doesn't really matter what is fact and fiction by the time it is over. Knowing the facts certainly couldn't hurt you on the education front, but I don't think it would greatly diminish the enjoyment of this film unless you really are one of those previously mentioned purists of historical fact. 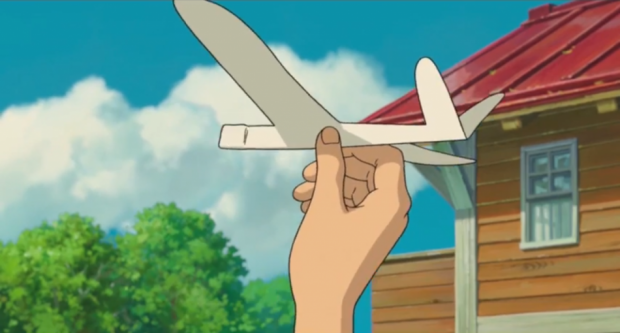 This film was controversial from the get-go because of it depicting an engineer of Japanese WWII planes as a good guy, but in real life Horikoshi Jiro disproved of their usage in such a way and the same is true of his counterpart in this movie. At least that much Miyazaki kept true. Mr. Horikoshi was an artist and he didn't have much say-so how his art would be used. The same can be said of all artists to a degree, I believe. 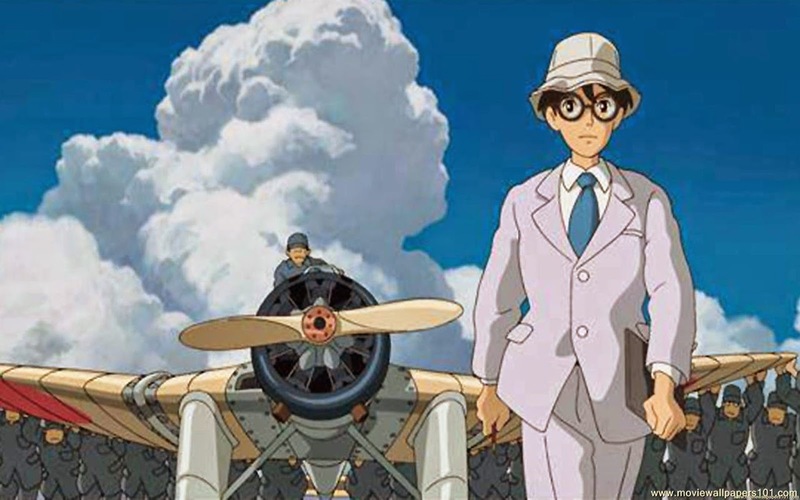 I think that fans of Martin Scorsese's The Aviator and/or Grave of the Fireflies would enjoy this film. It's definitely an anti-war film, but it isn't one of those that gets too overly involved in the politics of difficult times. This film is about human struggle and ingenuity and how dreams can sometimes cause bad nightmares. I have no idea how the man whose life this movie is largely based on would feel about this movie, but I'm sure he'd approve of the message. As much as I can be sure of such things, I suppose. Excellent movie. If Miyazaki never makes another film no one can say his last one was a flop or unmemorable.